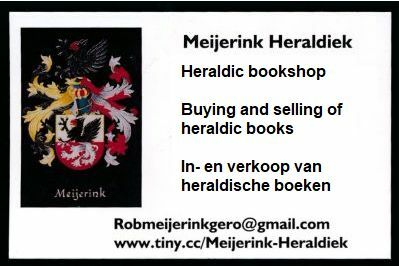 I buy books and pamphlets in ANY LANGUAGE AND ANY CONDITION! I have materials in my library in >50 languages and would like to have more. I only buy paper-based (or flat) items ! might be useful, price requested and estimated shipping cost to the Netherlands. There are many heraldic journals that often have articles about civic heraldry. In due time I will add many of these here. Grb i Zastava / Bulletin of the Croatian Heraldic & Vexillologic Association. ISSN 1846-3827. .
Heraldicum Disputationes. Issued by Homunculus, Belgium. ISSN 1370-7000. Heraldisch Tijdschrift. 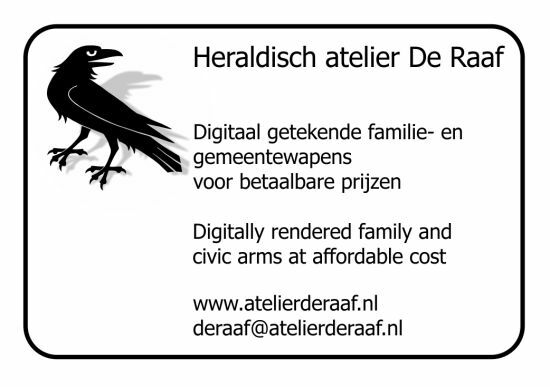 Bulletin of the Dutch Genealogical Society - Heraldry Division. ISSN 1381-6675. Македонски Хералд / Macedonian Herald. ISSN 1857-5544. Херолд / Herold. Bulletin of the Bulgarian Heraldic Society. Anonymous : Brockhampton Refernce : Heraldry. Brockhampton Press, 1997, 188 p. ISBN 1-86019-711-6. Baigent, F.J. and Russell, C.J. : A practical manual of heraldry and of heraldic illumination. George Rowney and Co, London, Uk, 1864. 65 p + 16 color plates. No ISBN. Fox-Davies, A.C. : A complete guide to heraldry. Bloomsbury Books, London, UK, 1985, 513 p. ISBN 0-906223-78-4. Fox-Davies, A.C. : The art of heraldry. Bloomsbury Books, London, UK, 1986, 504 p. ISBN 0-906223-34-2. Fox-Davies, A.C. : Heraldry - A pictorial archive for artists and designers. Dover Pictorial Series, 1991, 154 p. ISBN 0-486-26906-X. Ibbett, V. : Flowers in Heraldry. 8 loose 4-page folios in special box. 32 p. 1977. ISBN 0-919-026-10-9. Leonhard, W. Das grosse Buch der Wappenkunst. Weltbild Verlag, Augsburg, 1978-2003, 395 p. ISBN 3-8289-0768-7. Parker, J. A glossary of terms used in heraldry. David & Charles reprints, 1970, 660 p. No ISBN. Phillips, D.F. : The double eagle. The flag heritage foundation, 2014, 160 p. ISBN 978-1-4507-2432-6. Porny, M. Elements of heraldry. Thomas Carnan, London, 1788, 284 p. No ISBN. Rothery, G.C. : Concise encycopaedia of heraldry. Brackn Books, London, UK, 1985, 359 p. ISBN 0-946495-32-7. Slater, S. : The complete book of heraldry. Anness Publishing, LOndon, UK, 2002, 256 p. ISBN 1-84309-698-6. Woodcock, T. and Robinson, J.M. : The Oxford guide to heraldry. Oxford University Press, 1988, 232 p. ISBN 0-19-211658-4. Anonymous : Wapens-Blasons-Arms-Wappen. Mijdrecht, no year 48 p.
Ewe, H. : Schiffe auf Siegeln. Hinstorff Verlag, Rostock, 1972. 231 p.
Fox-Davies, A.C. : The book of public arms. Jack, London, 1915, 877 p. No ISBN. Lindeck, R. : Wappen aller Länder. 12 Blätter in Farbendruck ausgeführt und mit erlauterndem Text begleitet. Benziger & Co, Einsiedeln, 1888, 8 + 12 P. No ISBN. Louda, J. : European civic coats of arms. London, 1966. 266 p.
Multi-authored : Nye kommunevåbener i Norden. Heraldisk Tidsskrift 34(1976)153-176. Multi-authored : Nya kommunvapen i Norden. Heraldisk Tidsskrift 30(1974)463-467. Multi-authored : Nye kommunevåbener. Heraldisk Tidsskrift 45(1982)201-217. Multi-authored : Nye kommunevåbener. Heraldisk Tidsskrift 47(1983)297-309. Multi-authored : Nye kommunevåbener i Norden. Heraldisk Tidsskrift 51(1985)9-22. Multi-authored : Nye kommunevåbener i Norden. Heraldisk Tidsskrift 54(1986)137-154. Multi-authored : Nye kommunevåbener i Norden. Heraldisk Tidsskrift 58(1988)?-? (23p.). Multi-authored : Nye kommunevåbener i Norden. Heraldisk Tidsskrift 62(1990)41-61. Multi-authored : Nye kommunevåbener i Norden. Heraldisk Tidsskrift 68(1993)?-?(14p.). Multi-authored : Towns and cities: arms, flags and seals. Proceedings issued by the Ukrainian Heraldry Society, Lviv Branch. Lviv, 2003, ISBN 966-02-0992-4, 292 p.
Multi-authored : Regionale Heraldiek en Streekwapens - L'Héraldique Régionale - Regional Heraldry - Regional Heraldik. Académie internationale d'héraldique. Report XII. International Colloquium on Heraldry. Profiel Uitgeverij, Groningen, 2005. 360 p. ISBN 978-90-5294-362-6. Neubecker, O. and W. Rentzmann : 10.000 Wappen und Embleme von Staaten und Städten nach Bildmotiven angeordnet mit alphabetischem Register. Battenberg, München, 1974, 420 p. ISBN 3-87045-257-9. Oehlinger, S. Amerikas Staatswappen auf Briefmarken. Der Sammler Dienst, 8/9(1952), pagenumbers unknown. Pedersen, C.F. : Alverdens flag i farver. Politikens Forlag, 1979, 279 p. ISBN 87-567-3141-8. Ruhl, M. (ed) : Die Wappen der wichtigsten Städte Europa's. Leipzig, 1887. Ruhl, D.J.M. (ed) and Von Szirányi, J . : Die Wappen aller souveränen Länder der Erde, sowie diejenigen der preussischen Provinzen, der österreich.-ungar. Kronländer und der Schweizer Kantone. Leipzig, 1928, one long folding page , 8 pages text and 15 pages advertising for other books. 9th edition, no date between 1905-1914. Savorelli, A. : Brisure nell'araldica civica. Schweizer Archiv für Heraldik 110(1996)159-170 and 111(1997)39-54. Savorelli, A. : Dignum cernite signum... Stile araldico e stile sfragistico negli stemmi delle città medievali. Schweizer Archiv für Heraldik 111(1997)91-113. Schaaf, R. and Hansen, U. : Kommunale Wappen mit Eulendarstellungen [communal coat of arms ontaining depictions of owls]. Kauzbrief 18(2010)22, issued by the Arbeitsgemeinschaft Eulenschutz im Landkreis Ludwisgburg. 60 p.
Spohr, W. and Seeler, M.: Auslanddeutsche Städte und ihre Wappen. Issued by the Volksbund für das Deutschtum ins Ausland, Berlin, 1938, 48 p.
Ströhl, H.G. : Staatsheraldik. Kunst und Kunsthandwerk, Monatszeitschrift XII (1909/Heft 8 und 9), p 397-424. Unger, A. : Staatswappen und Nationalflaggen der Völker. DBZ [Deutsche Briefmarken Sammler], 17(1960)pages unknown [15 pages]. Zentner, C. : Heraldik, Von Adler bis Zinne. Garant Verlag, Renningen, 2009, 175 p. ISBN 978-3-86766-218-5. Martin-Massonnet, S. : Armories des villes d'Algérie Française avant 1962. Bulletin de la societe heraldique pictave 4(2000)3:93-97. Vernot, N. and Fernon, J-P. : Armorial des communes de l'Algérie française. Ed. Héligoland, Pont-Anthou, 2012, 247 p. ISBN 978-2-914874-94-6. Burzio, H.F. : El blason de la ciudad de Buenos Aires. In : Evolucion institucional del municipio de la ciudad de Buenos # Aires. Ediciones del H. Concejo deliberante. Buenos Aires, 1963. p. 137-166. Anonymous : Tasmanian coat of arms. Huon Times August 17, 1917. Anonymous : Adelaide's coat of arms. Chronicle, February 16, 1929. Anonymous : Lismore's coat of arms. Northern Star, April 25, 1947, page 4. Bruce, J.L. : Flags and emblems of Australia. Kangaroo Press, Kenthurst, 1996. Gullick, W.A. : The New South Wales coat of arms with notes on the earlier seals. Sydney, 1921, 36 p. no ISBN. Low. C. : A roll of Australian arms. Rigby Ltd Adelaide, 1971. 184 p. ISBN 0-85179-149-2. Puttock, A.G. : Heraldry in Australia. Child and Associates, French Forests NSW, 1988. 158 p. ISBN 0-86777-388. Csáky, I. : A Magyar királyság vármegyéinek címerei a XVIII-XIX. Században. Corvina, Budapest, 1995, 162 p. ISBN 963 13 4234 4. Ströhl, H.G. : Städtewappen von Österreich-Ungarn. Wien, Anton Schroll & Co, 1904, 106 p.
Ströhl, H.G. : Die neuen österreichischen, ungarischen und gemeinsamen Wappen. Hrsg. auf Grund der mit d. allerhöchsten Handschreiben vom 10. u. 11. Okt. 1915, bezw. 2. u. 5. März 1916 erfolgten Einführung. Wien 1917. Widimsky, V. R. : Städtewappen des Österreichischen Kaiserstaates. I. Königreich Böhmen; II. Herzogthum Salzburg. III. Herzogthum Schlesien. IV Herzogthum Steiermark. Wien, 1864. +/- 500 p.
Harper, R.W.E. : Heraldry in Bermuda. The Coat of Arms 116(1980)312-317. See also under former Yugoslavia. Mattern, G. : Wappen und Flagge von Bosnien-Herzegowina (BiH). Schweizer Archiv für Heraldik 109(1995)54-55. Hartemink, R. : De wapens van Nederlands-Brazilë. Heraldisch Tijdschrift, 24(2018)18-23. Bretton, R. : The arms of the city of Ottawa. Coat of Arms 27(1956)112-113. Chadwick, E.M. : The arms of Canada. Genealogical Magazine 2(1898)291-293. Kennedy, B.E. : An Armorial Mystery - The Origin and History of the Armorial Achievement of the City of Guelph, Ontario, used by the City Corporation before 1978. Alta Studia Heraldica 2(2009)117-136. Sherwood Hodgins, G. : The heraldry of Canada. papers and Records Vol. XIV of the Ontario Historical Society. Toronto, 1916. 25 p. No ISBN. Stewart, J.A. : The arms of Nova Scotia. Coat of Arms 6(1951)203. Stewart, J. E. : The arms of Nova Scotia 1621-1921. Glasgow, Saint Andrew Society, 1921, no ISBN, 45 p.
Swan, C.M.J.F. : The armorial bearings of the Assumption University of Windsor. Coat of Arms 36(1958)115-117. Swan, C.M.J.F. : Canada: symbols of sovereignity. Toronto, Univ. of Toronto Press, 1977. 272p. ISBN 0-8020-5346-7. Watt, R. D. : Les armoiries de Nunavut. Schweizer Archiv für Heraldik, 113(1999)157-159. Nagel, R. : Les armoiries de Macao - Légende et réalité. Schweizer Archiv für Heraldik, 110 (1996)69-71. Caesar Garcia, J. : Himnos y Symbolos de Nuestra Colombia. Camer Editores. 2000 ISBN 958-33-1489-7. Dousdebés, P. J. : Flags and emblems of Colombia. Translated by M. F. Hammer and with modern annotations. The Flag Heritage Foundation, Danvers, MA. USA, 2016, 72 p. ISBN 978-1-4507-2433-3. Original published in the Boletín de Historia y Antigüedades 24(1937)449-483. Ortega Ricaurte, E. : Heraldica Colombiana. Archivo Nacional de Colombia, 1952, 325 p. No ISBN. Cascante, E. A. : Toponimia cantonal de Costa Rica. Instituto de fomento y asesoria municipal, departemento de planificacion. San Jose, 1986. No ISBN, 127 p.
Vajay, S. de : De l'héraldique municipale en Amérique latine - à travers les blasons des capitales provinciales du Costa Rica. Archivum Heraldicum 8(1966)2-9. Bijelić, B. : Grb grada Đakova / The coat of arms of the city of Đakovo. Grb i Zastava 3(2009)6:16-18. Božiċ, M. : New findings on the emergence, use and symbolism of the Croation lan coats of arms. Grb i Zastava 23(2018)28-30. Buovac, M. : The community if Poličnik. Grb i Zastava 23(2018)24-25. Grubiša, R. : Adoption of the symbols of Rijeka in 1990's. Grb i Zastava 11(2012)14-16. Heimer, Ž. : Grb i zastava Republike Hrvatske. Leykam Int. Zagreb, 2008, 192 p. ISBN 978-953-7534-12-7. Heimer, Ž. : Grbovi i zastave grada Zagreba. Leykam Int. Zagreb, 2009, 179 p. ISBN 978-953-7534-24-0. Hye, F-H. von : Zur Geschichte des Staatswappens von Kroatien und zu dessen ältester Darstellung in Innsbruck. Schweizer Archiv für Heraldik, 108(1994)163-172. Jareb, M. : Hrvatski nacionalni simboli. Hrvatski institut za povijest, Zagreb, 2010, 472 p. ISBN 978-953-297-230-6. Kekez, H. : Grbovi gradova u Republici Hrvatskoj. Mozaik knjiga, Zagreb, 2009, 80 p. ISBN 978-953-14-0621-5. Kušen, E. : Kako su re rađali grb i zastava Grada Ivanca. / How the coat of arms and flag of Ivanec were born. Grb i Zastava 22(2017)10-16. Lászloczky, L. de : Stemmi, bandiere e sigilli della città di Fiume. Schweizer Archiv für Heraldik 106(1992)6-27. Ljubović, E. : The development of the city of Senj coat of arms / Povijesni razovj grba Grada Senja. Grb i Zastava 2(2008)5-7. Marunčić, T. : Exhibition "The State Coat of Arms of the Dubrovnik Republic". Grb i Zastava 4(2010)7:1,17. Peić Čaldarović, D. and Stančić, N. : Variants of the arms of Slavonia until the ens of 18th C. Grb i Zastava 11(2012)8-13. Peić Čaldarović, D. and Stančić, N. : Povijest Hrvatskoga grba. Školska knjiga, Zagreb, 2011, 315 p. ISBN978-953-0-61285-3. Šarić, A. : Heraldika grada Senja do 17. stoleća / The heraldry of the city of Senj to the 17th century. Grb i Zastava 20(2016)27-28. Vitez, M. : Heraldika u službenim glasilima hrvatskih županija / Heraldry in offical gazettes of Croatian counties. Grb i Zastava 22(2017)21-22. Achen, S. T. : Danmarks kommunevåbener. Forlaget Komma, København K, 1982. ISBN 87-7512-022-4. 112 p.
Achen, S.T. : Amternes våbener. Heraldisk Tidsskrift 55(1987)?-? (7p). Anonymous : Kongeriget Danmarks Byvaabener. Kaffe Hag album, København, (no year, prior to 1944). Bartholdy, N.G. : Danmarks våben og krone. Kultur Ministeriet, København, 1995. ISBN 87-87361-20-5. 29 p.
Bartholdy, N. : Statsvåben, kongekrone, kommunevåben. Heraldisk Tidsskrift 85(2002)193-204. Bjerg, H.C. : Grønlands våben. Heraldisk Tidsskrift 31(1975)39-48. Bruun, G. and Jacobsen, N. : Koldings bys segl og vaaben. V. Schæffers forlag, Kolding, 1938, 74 p. No ISBN. Grandjean, P. B. : Det Danske Rigsvaaben. J.H. Schultz Forlag, København, 1926, 300 p. No ISBN. Grandjean, P. B. : Danske Købstæders segl indtil 1660. J.H. Schultz Forlag, København, 1937, 63 p + 33 sheets. No ISBN. Grandjean, P. B. : Slesvigske Købstæders og herreders segl indtil 1660. J.H. Schultz Forlag, København, 1953, 23 p + 14 sheets. No ISBN. Grandjean, P. B. : Danske herreders segl indtil 1660. J.H. Schultz Forlag, København, 1946, 78 p + 30 sheets. No ISBN. Querfurt, O, Graf von : Das dänische Reichs- und Königswappen. Adler 12(1882)8-9. Zeuthen, J.H. : Bogen om Danske Kommunevåbener. Aschehoug, 2000, 183 p. ISBN 87-11-12863-1. Matos G, R. : La bandera y el escudo Dominicano. Escudos heáldicos e otras banderas qua han tremolado en la isla. Santo Domingo, 1996, 401 p. No ISBN. Dubov, J.J. et al. : Vapid ja Lipud Eesti. A ja O Taskuteamik, Eesti Entsüklopeediakrkjastus, Tallinn, 2004, 560 p. ISBN 9985-70-152-6. Oja, T. and Medijainen, E. : Eesti vapidja lipud. Tallinn, 1993, 88p. ISBN 5-460-00016-5. Leimus, I. : Revals våbener og segl. Heraldisk Tidsskrift 82(2000)47-57. Anonymous : Suomen kuntavaakunat, maakuntavaakunat ja -tunnukset. Suomen Kuntaliitto/Kommunförbundet, 2005, 112 p. ISBN 952-213-001-X. Anonymous : Finlands protestantiska stiftsvapen. Vapenbilden 23(1987)272-274. Bergroth, T.C. : Heraldiikka - ajaton viestintämuoto / Heraldik - en tidlös form för kommunikation. Varsinais-Suomen ja Satakunnan vaakuna 450 vuotta / Egentliga Finlands och Satakundas vapen 450 år. Turky, 2007, 31 p. ISBN 952-5599-26-4. Clericus, L. : Die Wappen der schwedischen und finnländischen Landschaften (Provinzen), Läns (Regierungsbezirke) und Städte. Der Deutsche Herold 20(1889)1-8 (plus 10 pages with images). Eriksson, O. : L'adaption à l'usage quotidien des blasons en Finlande. Archivum Heraldicum 81(1967)38-40. Harmo, M. : Porvoon Vaakuna. Helsinki, 1980, 58 p.No ISBN. Harmo, M. : Finnish features. Leaflet published by the Ministery of Foreign Affairs, Helsinki, 1984. Heim, B.B.H. : Religiöse Symbolik in Finnischen Gemeindewappen. In : Bleisteiner, C.D. (Ed.) : Religious heraldry - Report X. International Colloquium of Heraldry, Rothenburg ob der Tauber, 1997. München, 1999, p. 435-442. Iltanen, J. : Suomen kuntavaakunat - Kommunvapnen i Finland. Karttakeskus, Helsinki, 2013, 208 p. ISBN 978-952-266-092-3. Jäppinen, J. : Kilven suojassa - Jyväskylän kaupungin vaakunakirja. 2007, 84 p. ISBN 978-952-92-1712-0. Lindgren, U. : The symbols of the province of Åland. p. 412-414 In : Bergroth, T.C. 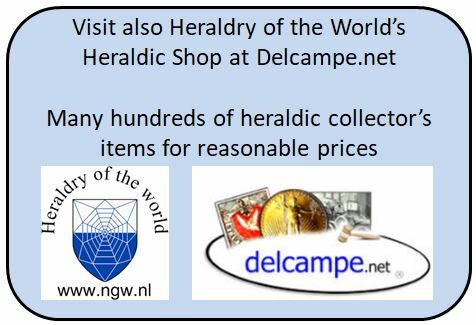 (Ed) Report of the 16th international congress of genealogical and heraldic sciences. Helsinki, 1984. ISBN 951-99640-4-5. Moberg, A. : Om Ålands Häradrätts Sigill. Översigt av Finska Vetenskaps-Societetens Förhandlingar v. 1857-1863, p. 13-19. Numers, G. von : Finlands vapensköld. Heraldisk Tidsskrift 17(1968)297-302. Oehlinger, S. Finnische Provinzwappen auf Briefmarken. Neue Sammlerschau, October 1950 Heft 19/20, p. 155. Pirinen, K. : Suomen kunnallisvaakunat, Vantaa, 1976, 207 p.
Pirinen, K. : Suomen kunnallisvaakunat (Local coats of arms in Finland), Vantaa, 2nd edition, 1982, 216 p.
Rancken, A.W. and Pirinen, K. : Suomen vaakunat ja kaupunginsinetit. Werner Söderström, Porvoo, 1949, 134 p. No ISBN. W(?). Chr. von. : Finlands riksvapen under Svenska tiden - med sköldhållare. Vapenbilden 8(1980)51. Wahlroos, H.J. : Kommunvapen i Nyland. Nylands Svenska Landskapsförbund. Borgå, 1969, 68 p. No ISBN. Muhlemann, L. : Héraldique Territoriale et Municipale de la république Gabonaise p 373-381 In : Actas do 17 Congresso International das Ciencias Genealogica e Heraldica, Lisboa, 1986. Chkheidze, D. : The State symbols of Georgia. 1918-2018. Tblisi, The State Council of Georgia, 2018, 102 p. ISSN 2298-0261. ?? [any translation is welcome ! For Austro-Hungarian Empire, see there. Bertényi, I. : Das alt-neue Wappen von Ungarn. Schweizer Archiv für Heraldik 103(1989)169-172. Fári, I. and Nagy, Á : Szeged címere. Szeged, 1998, 64 p. ISBN 963-8335-51-3. Laszlovszky, J. : A magyar címer története. Budapest, 1990, 40 p. ISBN 963-500-980-1. Robert, L. and Bela, B. : A Magyar városok címerei. Budapest, 1975, 256 p. ISBN 963-220-276-7. Anonymous : Byggóarmerki fyrir Eyrarbakka. Sveitarstjórnamál 45(1985)26. Anonymous : Skjaldarmerki Vatnsleysustrandarhrepps. Sveitarstjórnamál 45(1985)233. Anonymous : Merki Vatnsleysustrandarhrepps. Víkurfréttir. January 17, 1985. Anonymous : Byggðarmerki Búlandshrepps. Sveitarstjórnamál 45(1985)284. Anonymous : Byggðarmerki Hafnahrepps. Sveitarstjórnamál 45(1985)284. Anonymous : Bessastaöahreppur tekur upp byggðarmerki. Sveitarstjórnamál 45(1985)284. Anonymous : Byggðarmerki Raufarhafnarhrepps. Sveitarstjórnamál 45(1985)284. Anonymous : Byggðarmerki Stokkseyrarhrepps. Sveitarstjórnamál 45(1985)284. Anonymous : Fáskrúðsfjörður: Byggðarmerki. Austurland August 21, 1986. Anonymous : Fjögur hreppsfélög hafa það sem af er þessu ári tekið upp byggðamerki. Þjóðviljinn August 24, 1986. Anonymous : Byggðarmerki Breiðdalshrepps. Sveitarstjórnamál 46(1986)95. Anonymous : Byggðarmerki Miðneshrepps. Sveitarstjórnamál 46(1986)216. Anonymous : Byggðarmerki Hólmavíkurhrepps. Sveitarstjórnamál 46(1986)216. Anonymous : Byggðarmerki Mývatnssveitar. Sveitarstjórnamál 46(1986)216. Anonymous : Byggðarmerki Búðahrepps. Sveitarstjórnamál 46(1986)216. Anonymous : Byggðarmerki Fellahrepps. Sveitarstjórnamál 46(1986)264. Anonymous : Byggðarmerki Hvolhrepps. Sveitarstjórnamál 46(1986)264. Anonymous : Byggðarmerki Grindavíkur. Sveitarstjórnamál 47(1987)95. Anonymous : Breytt byggðarmerki Akureyrar. Sveitarstjórnamál 48(1988)62. Anonymous : Byggðarmerki Svarfaðardalshrepps. Sveitarstjórnamál 49(1989)264. Anonymous : Byggðarmerki Presthólahrepps. Sveitarstjórnamál 49(1989)264. Anonymous : Bryggðarmerki Austur-Landeyarhrepps. Sveitarstjórnamál 50(1990)128. Anonymous : Hríseyarhreppur tekur upp byggðamerki. Sveitarstjórnamál 50(1990)252. Anonymous : Byggðarmerki Reyðarfjarðar. Sveitarstjórnamál 51(1991)212. Anonymous : Byggðarmerki Kjalarneshrepps. Sveitarstjórnamál 51(1991)213. Anonymous : Byggðarmerki Flateyrarhrepps. Sveitarstjórnamál 52(1992)31. Anonymous : Torfalækjarhreppur tekur upp byggðarmerki. Sveitarstjórnamál 54(1994)128. Anonymous : Byggðarmerki Aðaldælahrepps. Sveitarstjórnamál 55(1995)128. Anonymous : Byggðarmerki Vopnafjarðarhrepps. Sveitarstjórnamál 55(1995)128. Anonymous : Byggðarmerki Torfalækjarhrepps í réttum litum. Sveitarstjórnamál 55(1995)128. Anonymous : Súlan byggðarmerki Reykjanesbæjar. Sveitarstjórnamál 57(1997)86. Anonymous : Byggðarmerki Vesturbyggðar. Sveitarstjórnamál 59(1999)112. Anonymous : Byggðarmerki Eyjafjarðarsveitar. Sveitarstjórnamál 59(1999)112. Anonymous : Byggðarmerki Fjarðabyggðar. Sveitarstjórnamál 59(1999)244. Anonymous : Byggðarmerki Sveitarfélagsins Skagafjarðar. Sveitarstjórnarmál 60(2000)128. Anonymous : Byggðarmerki Sveitarfélagsins Árborgar. Sveitarstjórnarmál 60(2000)128. Anonymous : Byggðarmerki Mosfellsbæjar. Sveitarstjórnarmál 60(2000)272. Anonymous : Byggðarmerki Dalvíkurbyggðar. Sveitarstjórnarmál 61(2001)64. Anonymous : Byggðarmerki Borgarfjarðarsveitar. Sveitarstjórnarmál 61(2001)221. Anonymous : Nýtt byggðamerki Fljótsdalshéraðs. Morgunblaðið, March 8, 2005. Einarsson, J.S. : Byggðarfánar: fánar fyrir íslensku sveitarfélögin. Hönnunargreining um útskriftarverkefni úr Grafískri hönnun við Listaháskóli Íslands 2018. 37 p. No ISBN. Friðfinnsson, B. : Byggðamerki Sveitarfélaga. Samband Íslenzkra Sveitarfélaga, Reykjavík, 1986. Hermansson, H. : Skjaldmerki Íslands. Eimreiðin 20-08-1914 p. 157-175. Thorlacius, B. : Islands våben. Heraldisk Tidsskrift 60(1989)?-? (5p). Anonymous : The arms of Cacutta and the arms of the University of Madras. Genealogical Magazine 4(1900)232-234. Mattern, G. : The Mysore arms and flags. ARMA 1304-1310. Phillips, D. : Emblems of the Indian States. Flag heritage foundation, Winchester, Mass. USA, 2011, 64 p. ISBN 978-1-4507-2431-9. Dutch-language (newspaper) articles without author about the then Netherlands Indies, sorted by date. Ter zijde... (on new arms for Medan) De Sumatra Post, January 20, 1911. Een wapen voor Padang. De Sumatra Post February 21, 1911. Prijsvraag voor een wapen der gemeente Bandoeng. Het nieuws van den dag voor Nederlandsch-Indië, September 9, 1916. Gemeentewapen (on Buitenzorg/Bogor). Bataviaasch Nieuwsblad March 25, 1922. Gemeente Magelang - Prijsvraag gemeentewapen. Het nieuws van den dag voor Nederlandsch-Indië May 8, 1925. Prijsvraag gemeentewapen Soekaboemi. Het nieuws van den dag voor Nederlandsch-Indië May 14, 1927. Prijsvraag gemeentewapen Madioen. Het nieuws van den dag voor Nederlandsch-Indië Apri l5, 1928. Indische gemeentewapens. Nieuwe Rotterdamsche Courant July 06, 1928. Het apen-wapen - Een merkwaardie discussie. (on Bandjermasin) De Indische Courant July 21, 1928. Gemeente-Wapen Meester-Cornelis. (on Meester Cornelis/Jatinegara) Het nieuws van den dag voor Nederlandsch-Indië March 19, 1929. Drie djeroeks met een schans in zilver. (on Meester Cornelis/Jatinegara) De Sumatra Post May 21, 1929. Een gemeentewapen voor Modjokerto. Nieuwe Rotterdamsche Courant July 8, 1929. Heraldiek in Indië en de Indische gemeenten. Het Vaderland August 13, 1930. Gemeentewapen (on Buitenzorg/Bogor). Bataviaasch Nieuwsblad October 8, 1931. Palembangs wapen - Voortdurend wordt ik herboren. Bataviaasch Nieuwsblad January 5, 1933, identical in De Sumatra Post January 9, 1933. Het gemeentewapen. (on Probolinggo) De Indische Courant June 16, 1933. Malang's gemeentewapen. Soerabaijisch Handelsblad June 1, 1937. De leeuw met een apenstaart (on Malang). De Sumatra Post, August 21, 1937. De leeuw in het gemeentewapen (on Malang). De Indische Courant August 13, 1937. De wapens van Batavia en van Buitenzorg. Het Vaderland October 02, 1937. Gemeentewapen van Semarang. Java-bode, January 19, 1951. Gonggrijp, G.F. E. : Wapens van Openbare Gemeenschappen in Nederlandsch Indië. Nederlandsche Leeuw 52(1934)371-373. Kloot. M.A. van Rhede van der : Het wapen van Ternate. Nederlandsche Leeuw 27(1909)62-63. Kloot. M.A. van Rhede van der : Het wapen van Ternate en Colombo. Nederlandsche Leeuw 30(1912)422. Vries, H. de : Vier ontwerpen voor het wapen van de Verenigde Republiek Indonesië 1949-1950. Heraldisch Tijdsschrift 7(2001)58-63. Wellan, J.W.J. : Heeft de gemeente Palembang recht haar wapenschild te dekken met een stedekroon ? Unknown publisher, 1935 (? ), 24 p.
Barry, J. : The Arms of Ireland and Munster. The Journal of the Royal Society of Antiquaries of Ireland, 92:1(1962)79-81. English, M. : The three castles of Dublin, An eclectic history of Dublin through the evaluation of the city's Coat of Arms. Dublin city council, 2016, 272 p. ISBN 978-1-907002-26-2. Ffrench, C. : The Arms of Ireland and Celtic Tribal Heraldry. The Journal of the Royal Society of Antiquaries of Ireland, 35:3(1905)234-248. Ó Floinn, R. : Two Medieval Seals from County Louth. Journal of the County Louth Archaeological and Historical Society, 22:4(1992)387-394. Fox-Davies, A.C. : The arms of the city of Dublin. Genealogical Magazine 2(1898)169. Grattan Esmonde, Sir T.H. : The arms of Ireland. Genealogical Magazine 5(1901)115-116. Kennedy, J.J.F. : The emergence of the arms of Connacht and Irish arms in medieval continental armorials. Schweizer Archiv für Heraldik 115(2001)121-137. Vinycomb, J. : Arms of the Bishoprics of Ireland. Chapter I: Introductory. Ulster Journal of Archaeology III(1897)2-12. Vinycomb, J. : Arms of the Bishoprics of Ireland. Chapter II: The Province of Armagh (with Tuam). Ulster Journal of Archaeology III(1897)99-112. Bellew, G. : The arms of the Kingdom of Jerusalem. Coat of Arms 1(1950)25-26. Alexander, L. : The arms of Jamaica. Genealogical Magazine 3(1899)200-204 and 241-245. Phillips, D.F. (ed.) : Japanese heraldry and heraldic flags. The flag heritage foundation monograph and translation series, Publication No 7.; Danvers, Massachusetts, 2018, 160 p. ISBN 978-1-4507-2436-4. Ströhl, H.G. : Nihon moncho. Japanisches Wappenbuch. Ein Handbuch für Kunstgewerbetreibende und Sammler. Anton Schroll, Wien 1906. Ströhl, H.G. : Wappen und Flagge von Korea. In: Jahrbuch der Heraldischen Gesellschaft “Adler”. 10, XXIV, Wien 1893. Kļaviņa, I : Iepazīsti un izkrāso ! Latvijas Pilsētu ģerboņi. Apgāds Zvaigzne ABC, Riga, 2010, +/- 40p. ISBN 978-9984-40-236-9. Vijups, A. (ed.) : Latvias Ģerboņi. Valsts Presidenta kanceleja, Valsts Heraldikas Komisija, Nordik, Riga2008, 302 p. ISBN 978-9984-792-84-2. Villerušs, V. (ed.) : Latvias Ģerboņi - papildinājuma 2008. gada izdevumam. Valsts Presidenta kanceleja, Valsts Heraldikas Komisija, Nordik, Riga, 2009, 16p. ISBN 978-9934-854-02-1. Villerušs, V. (ed.) : Latvias novadu heraldika. Valsts Presidenta kanceleja, Valsts Heraldikas Komisija, Neptuns, Riga, 2013, 224p. ISBN 978-9934-512-05-6. Wappen und Farben Liechtensteins. Schriftenreihe der Regierung, 1, 1984, 13 p.
Wappen, farben, Siegel und Embleme des Fürstentums Liechtenstein. Liechtenstein Government brochure, Vaduz, 1985, 20 p.
Machatcheck, H. : Zur Städteheradik in Litauen. Schweizer Archiv für Heraldik, 102(1988)3-9. Neu, H. : Das Wappen von Memel. Bonn, 1958, 19 p.
Rimša, E. : The heraldry of Lithuania, part 1. Lithuanian heraldry Commission, Vilnius, 1998, 192 p. ISBN 9986-861-34-9. Rimša, E. : Lietuvas Heraldika II. Lietuvos Heraldikos Komisija prie Respublikos Prezidento. Baltos Lankos, Vilnius, 2004, 238 p. ISBN 9955-584-69-6. Rimša, E. : Heraldika. Iš praeities i dabarti. Vesrus Aureus, Vilnius, 2004, 190 p. ISBN 9955-601-18-3. Rimša, E. : Pieczęcie miast wielkiego księsta litewskiego. Wydawnictwo DiG, Warszawa, 2007, 1259 p. ISBN 978-83-7181-455-6. Anonymous : Les emblèmes nationaux du Grand-Duché de Luxembourg. Ministery of internal affairs, Luxembourg, 1972, 16p. Steur, J. Het wapen van het Groothertogdom Luxemburg. De Navorscher 94(1953/54)1-11. Anonymous : Bendera dan lambing negara dan negeri Malaysia - National and state flags and crests of Malaysia. Department of information, Malaysia, 1963, 32 p. No ISBN. Silviu, A-T. : Heraldica teritoriala a Basarabei si Transnistriei. Chisinau, 1998, 170 p. ISBN 9975-906-20-6. Ziggioto, A. : Armi e bandiere del Montenegro: molte ombre e poche luci. Schweizer Archiv für Heraldik 103(1989)85-94. Croft, J.A. : Civic coats of arms of Mozambique. ARMA 2155-2162 and 2197-2202. Anonymous : The arms of Lüderitz. ARMA 1616-1619. Brownell, F.G. : The evolution of the coats of arms and flags of South West Africa and Namibia. I : Introduction (1485-1884). ARMA 2033-2035. Brownell, F.G. : The evolution of the coats of arms and flags of South West Africa and Namibia. II : Deutschwestafrika (1884-1915). ARMA 2036-2037. Brownell, F.G. : The evolution of the coats of arms and flags of South West Africa and Namibia. III : The (mandated) territory of South West Africa, 1915-1960. ARMA 2038-2042. Brownell, F.G. : The evolution of the coats of arms and flags of South West Africa and Namibia. IV : The arms of the territory of South West Africa, 1961-1990. ARMA 2095-2101. Brownell, F.G. : The evolution of the coats of arms and flags of South West Africa and Namibia. V : The arms and flags of the "homelands" in South West Africa, 1969-1989. ARMA 2121-2128. Brownell, F.G. : The evolution of the coats of arms and flags of South West Africa and Namibia. VIII : The national arms, great seal and presidential flag of Namibia, 1990. ARMA 2227-2232. Mattern, G. : Wappen und Flagge der Republik Namibia. Schweizer Archiv für Heraldik 103(1989)166-169. Merrington, A.J. : The civic coats of arms of South West Africa/Namibia. ARMA 1913-1920. Merrington, A.J. : The civic coats of arms of South West Africa/Namibia (II). ARMA 1950-1959. Merrington, A.J. : New national symbols for the republic of Namibia. ARMA 1983-1984. Anonymous : Ein Wappen für die Niederländischen Antillen. Archivum Heraldicum 79(1965)65-66. Tonson, A.E. : The arms of the city of Christchurch. The Coat of Arms 69(1967)184-186. Smith, W. : A tribute to Nigeria. Coat of Arms 44(1960)148-151. Jeremiah, M. : Heraldry in Macedonia. The Heraldic Craftsman, 89(2015)18-21. Cappelen, H. : Ski og kors i Skiens byvåpen. Heraldisk Tidsskrift 32(1975)94-104. Cappelen, H. : The principles of recent public heraldry in Norway. In : Bergroth, T. C. (ed) Genealogica and heraldica, report of the 16th international congress of genealogical and heraldic sciences, Helsinki 16-21 August 1984. Helsinki, 1986; p. 274-281. Cappelen, H. : Er Skiens byvåpen fra middelalderen? In : Glimt – Skien Historielag 75 år, Skien 2007, p. 95-110. Cappelen, H. and Johannessen, K. : Norske kommune våpen Supplement. Oslo, Kommunalforlaget, 1988, 16 p. ISBN 82-7242-545-9. Fjordholm, O. : Om opphavet til det norske løvevåpen. In : Tønnesen, A. (ed) Heraldik i Norden, Heraldisk Tidsskrift. København, 1984. P?-? (13p.). Friis, G. : Kongsberg bys våpen, segl og flagg. Heraldisk Tidsskrift28(1973)372-376. Johannessen, K. : Kunst med kongelig resolusjon - Kommunevåpen i Riksarkivet gjennom hundre år 1898-1998. Rikisarkivaren skriftserie 5, 1998, 40 p. ISBN 82-548-0059-6. Johannessen, K. : Nyere norske kommunevåpan - enkelt innhold, lang prosess. Heraldisk Tidsskrift 86(2002)225-243. Kolsrud, O. : Bergens bys segl, vaaben, farver og flag. Særtryf av Bergens Historiscke Forenings Skrifter, 27, 1921. 293 +19 p.
Nissen, H. : Nye kommunevåpen i Norge. Heraldisk Tidsskrift 64(1991)?-? 15p.). Nissen, H. : Nye norske kommunevåpen. Heraldisk Tidsskrift 78(1998)?-?(13p.). Nissen, H. : Blasonering af norske kommunevåpen. Heraldisk Tidsskrift 84(2001)129-147. Nissen, H. : Nye kommunevåpen i Norge. Heraldisk Tidsskrift 91(2005)21-28. Sunmann, P. : Romeren i Kongsbergs byvåpen - et fremmedelement i norsk heraldikk. Heraldisk Tidsskrift 56(1987)279-282. Trætteberg, H. : Fylkesmerker, Forslag fra Norges Bondelags fylkesmerkenevnd. Oslo 1930, 48 p.
Trætteberg, H. : Norske By-og Adelsvåben. Kaffe Hag, Oslo, 1933. Trætteberg, H. : The coat of arms of Norway. The American-Scandinavian Review, 52(1964)136-146. Vadholm, T.S. : Norske Kommunevåpen i 100 år. Heraldisk Tidsskrift 82(2000)33-46. Vadholm, T.S. : Hellig-Olavs øks son norsk symbol. Heraldisk Tidsskrift 102(2010)59-82. Anonymous; Danziger Wappenwerk. Album issued by Kaffee Hag company, Danzig, 1930s. Ciesielska, K. : Herb i pieczęcie miasta Torunia. TTK Toruń, Biblioteczka Toruńska Nr 3, 1982, 58 p.
Deus, W.H. : Die Entwicklung des Wappens der Hauptstadt Breslau. Städtische Sparkasse Breslau, 1938, 8 p. No ISBN. Dudziński, P. : Współczesna heraldyka i zwyczaje heraldyczne w kościołach chrześcijańskich. Tom 1. Wydawnictwo DiG, Warszawa, 2007, 461 p. ISBN 83-7181-446-1. Dudziński, P. : Współczesna heraldyka i zwyczaje heraldyczne w kościołach chrześcijańskich. Tom 2. Wydawnictwo DiG, Warszawa, 2007, +/- 250 p. ISBN 83-7181-446-6. 'Grun': Das Wappen der Stadt Reichenstein i. Schl. Wellers Archiv für Stamm- und Wappenkunde 3(1902)128-129. Gumowski, M; Herbarz Polski. Zeszyt I. Album issued by the Kawa Hag company, Warszawa, 1933. Gumowski, M; Herby miast Polskich. Wydawnictwo Arkady, Warszawa, 1960, 360 p. No ISBN. Gumowski, M; Najstarsze pieczęcie miast Polkisch XIII i XIV wieku. Rocniki towarzystwa naukowego w Torune, Toruń, 1960, 286 p. No ISBN. Hartemink, R. : Het Nederlandse/Nassause wapen in het wapen van twee Poolse gemeenten. Heraldisch Tijdschrift 24(2018)49-51. Jaworska, A. : Orzeł biały, Herb państwa Polskiego. Wydawnictwo DiG, Warszawa, 2003, 352 p. ISBN 83-7181-262-0. Kuipers, C. : Het wapen van Stenschewo. Heraldicum Disputationes 8(2003)73. Kuczynski, S.K. : Pieczęcie i herby miasta Łęczycy oraz ziemi Łęczyckiej. Łęczyca, 1985, Towarzystwo naukowe płockie Oddział w Łęczycy. 180p. No ISBN. Kuczynski, S.K. : Syrena Warszawska. Warszawa, 1991, 87 p. ISBN 83-01-10494-5. Kuczynski, S. K. : The mystery of a district crest. Heraldic Magazine 7(1993)36-38. Kuczyński, S.K. (ed. ): Orzeł biały - 700 lat hierbu państwa Polskiego / The white eagle - 700 years of the coat of arms of the Polish state. Book and catalogue from an exhibition in the Royal palace in Warsaw, 1995. The Royal palace, Warsaw, 1995, 366 p. ISBN 83-7022-054-1. Mattern, G. : Neues Wappen der Republik Polen. Schweizer Archiv für Heraldik 103(1989)168. Michta, J. : Heraldyka Samorzadowa województwa Świętokrzyskiego i jej symbolika. Kielce, 2000, 80 p. ISBN83-86047-03-8. Miller, J. : Wappen und Fahnen der Hauptstädte Polnischer Wojewodschaften. Archivum Heraldicum 81(1967)11-13. Mozejko, B. and Sliwinski, B. : Herby miast, gmin i powiatów. Województwa Pomorskiego. Tom 1. Oficyna Pomorska, Gdansk, 2000, 222 p. ISBN 83-86527-95-1. Plewako, A. and Wanag, J. : Herbarz miast Polskich. Arkady, Warsaw, 1994, 290 p. ISBN 83-213-3568-3. Seroka, H. : Herby miast Małopolskich do końca XVIII wieku. Wydawnictwo DiG, Warszawa, 2002, 316 p. ISBN 83-7181-233-7. Szczechura, T; Polskie Herby Miejskie, Warzsawa, 1963. Zaborowski, P. : Herby Miast Polskich. 30 p. Warszawa, No year, no ISBN. Znamierowski, A. : Insygnia, symbole, i herby Polskie. Świat Ksiąźki, Warszawa, 2003, 216 p. ISBN 83-7311-601-X. Guia do Autarca 1998-2000. Lisboa, 1998. Not really heraldic literature, but all municipal arms are shown in the book. ISSN 0770-7940. Redescobrir o Brasão do Barreiro. Barreiro, 2002, 40 p. No ISBN. Pye, R.F. : Development of the arms of Portugal in fact and legend. Coat of Arms 38(1959)187-190. Pye, R. F. : Portugals våben. Fabler og fakta. Heraldisk Tidsskrift 4(1961)161-170 (In Swedish). Vilheno Barboza, I. de : As cidades e villas da Monarchia portugueza que teem brasão de armas. Typographia do Panorama, Lisboa. Volume I (1860, 207 p.), Volume II (1860, 202 p.), Volume III (1862, 278 p.). No ISBN. Anonymous : stemele regatului Românei, judeţelor şi municipiilor in culori. Institutul cartografic UNIREA, Braşov, 1935, 5p. Cernovodeanu, D. : Aperçu sur l'héraldique de district et municipale des pays Roumains et la creation d'armoiries nouvelles de districts et de villes de la république socialiste de Roumanie. In : Recueil du 11e Congrès international des sciences généalogiques et héraldiques. Liège, 1972. p. 127-138. Cernovodeanu, D. and Mănescu, I.N. : Noile steme ale judeţelor şi municiliilor din Republica Socialistă România. Direcţia generalǎ a arhivelor statului, Bucureşti, 1974, 218=24 p. No ISBN. Cernovodeanu, D. : Stiinta Siarta Heraldicá în România. Ed. Stiintifica si Enciclopedica. Bucuresti, 1977. 566 p. No ISBN. Hartemink, R. : De fibula van Suseni. Heraldicum Disputationes 21(2016)4:97-98 (in Dutch). Stephanescu, M. : Drapeaux militaries Roumains du XIXème siècle aux armoiries des districts et des villes. In : Recueil du 11e Congrès international des sciences généalogiques et héraldiques. Liège, 1972. p. 467-475. Anonymous : Гербьі городов Саратовской губернии. Set of 12 postcard-size cards. Date ? Гордеев, С. : Гербьі городов Владимирской эемли. Leaflet issued 1984. Козина Е. and Борисов И.: Геральдика России. Moscow, 2005, 423 p. ISBN 5-17-030039-5. Гербьі подмосковньіх городов. Moscow, 1997. 127 p. ISBN 5-255-01312-9. Lomantsov, V.A. : Гербы и флаги Саракташского района оренбургской области. Orenburg, 2019, 127 p. ISBN 978-5-88788-249-9. Metselaars : T. : Stadswapens in de Russische provincie Primorja (deel 2). Heraldisch Tijdsschrift 15(2009)3:88-93. Saprikov, V.H. . Государственная сумволнка регонов России. Moscow, 2006, 96 p. ISBN 5-7739-0021-1. Paskov, A. : Karjalan vaakunat ja liput. Petroskoi, 1994, 350 p. ISBN 5-88129-010-0 (In Finnish and Russian). Razhnev, G. : Герб Смоленска. Smolensk, 1993, 240 p. No ISBN. Soboleva, N.A. : Гербы городов России, The arms of Russian towns. Moscow, 1998. 476 p. ISBN 5-255-01331-5. Solovjev, V. (editor): Гербы городов России. Moscow, 2004, part I, 223 p. ISBN 5-255-01419-2. Solovjev, V. (editor): Гербы городов России. Moscow, 2006, part II, 223 p. ISBN 5-255-01477-x. Speransov, N.N. : Земельные гербы России XII - XIX вв.. Moscow, 1974. Ströhl, H.G. : Russisch-Asiatische Wappenrolle. In: Jahrbuch der Heraldischen Gesellschaft “Adler”. NF 11, Wien 1901, S. 80-103. Ströhl, H.G. : Russisch-Europäische Wappenrolle. In: Jahrbuch der Heraldischen Gesellschaft “Adler”. NF 12, Wien 1902, S. 75–113. Гербы городов, губерний, областей и посадов Российской Империи. Reprint from a book from 1899. Moscow, 1990, 223 p. ISBN 5-85250-429-7. Otorepec, B. : Srednjeveški pecati in grbi mest in trgov na Slovenskem. Slovenska Matica, Ljubljana, 1988. 333p. Otorepec, B. and Jurečič, F.V. : Zgodovina grba mesta Ljubljane. Tiskarna Slovenija, Ljubljana, 1995. 127 p. ISBN 961-90313-0-X. Stanič, R. and Jakopič, T. : Osnove heraldike in istovetnostni simboli Slovesnskih občin. Lečnik, Ljubljana, 2005. ISBN 961-238-392-8, 344 p.
Anonymous : The arms of Cape Town. Genealogical Magazine 4(1900)156-160. Anonymous : The armorial bearings of the colony of the Cape of Good Hope. Genealogical Magazine 4(1900)184-187. Anonymous : Cape Town's arms. The Argus, June 14, 1974. Anonymous : Goodword's coat of arms. ARMA 181-182. Anonymous : Arms of Virginia. ARMA 718-729. Anonymous : Homeland emblems strike a symbolic note. The Star June 20, 1975. Anonymous : Staatsimbole van KwaZulu. Informa, april 1985. Bodel : J.D. : The coat of arms and other heraldic symbols of the city of Pretoria. ARMA p. 1989-2003. Bodel, J.D. : Trek or transport ? - The wagon in the South African National arms. ARMA 2063-2066. Brownell, F.G. : National and provincial symbols and floa and fauna emblems of the Republic of South Africa. Van Rendsbug Publichers, Johannesburg, 1993, 95 p. ISBN 0-86846-074-5. Evans, S. : Seals and coat of arms of the city of Durban. ARMA 1563-1574. Joubert, J. Les armoiries de la République Sud-Africaine. Paris, 1903, 39 p. No ISBN. Mitford-Barberton, I. : New municipal arms for Knysna. ARMA 179-180. Mitford-Barberton, I. : Kokstad municipal arms. ARMA 270-274. Pama, C. : Civic heraldry in greater Cape Town. ARMA 888-914. Pama, C. : Proposals for a coat of arms for the Orange River colony (1904). ARMA 1638-1643. Pama, C. : Toe voorgestel is dat Suid-Afrika 'n prinsdom sou word. Die Burgher 18-05-1961. Pama, C. : Lions and virgins. Cape Town-Pretoria, 1965. 133p. Pama, C. : Die Franse Revolusie en die boom van vryheid in ons Staatswapen. Die Burgher 14-07-1989. Het wapen van Suriname. Anonymous. Leaflet published by the Surinam Government. 6p. Kram Kreative : Історична геральдика українських міст (The historical heraldry of ukrainian cities). 24 Loose sheets, 2005. Machatscheck, H. : Neue ukrainische Städteheraldik. Schweizer Archiv für Heraldik 103(1989)3-8. Пануенко, В. : Гербівник міст України. : Kyiv, 1996, 200 p. ISBN 966-581-016-2. Пануенко, В. : Міські та містечкові герби України . Kyiv, 2000, 186 p. ISBN 966-7551-21-0. Савчук, Ю. Місба гералдика поділля. Віниця, 1995. 144 p. ISBN 5-7707-7604-8. Ukrainian Heraldry. CD-Rom published in 1998. Anonymous : The arms of Puerto Rico. Genealogical Magazine 5(1902)535-538. Anonymous : South African contribution to the arms of Salt Lake City. ARMA 2316-2317. (see also South Africa for note on ARMA). Chapin, H.M. : American Civic Heraldry - A roll of arms of cities and towns in the United States. Providence, 1935, 54p. Boulton, D'A.J.D. :The Creation of the Armorial Achievement of the United States (1776-82), and Its Representation and Misrepresentation (1782 - c.1920). Alta Studia Heraldica 5(2013-2014)95-184. Homes, H.A. : The correct arms of the state of New York as established by law since March 16, 1778. Albany, 1880, 50 p.
Metselaars, T. : Geschiedenis van de wapens van Nieuw-Amsterdam en New York. Heraldisch Tijdschrift 16(2010)38-48. Pilcher, J.E. : The seal and arms of Pennsylvania. Stanly Way, Harrisburg, 1902, 23 p.
Román, N. : Los símbolos oficiales de Puerto Rico. Editorial Cordillera In. 1986, ISBN 84-599-1476-3, 47 p.
Santa-Pinter, J.J. : Sociografía simbólica de Puerto Rico. Editorial Vosgos, 1979, 134 p. No ISBN. Wilde, A. S. : The civic ancestry of New York-City and State. Published by the author. New York, 1913. 80 p.
Lamas, A. : El escudo de armas de la ciudad de Montevideo (1908). Reprint, Kessinger Legacy Reprints, 2011, 128 p. ISBN 97-811-67500-305. Sokolov, V.A. : State symbols of Soviet Uzbekistan. Sociedad Española de Vexicologia, Madrid, 1985, 30 p. ISBN 84-398-3956-1. Anonymous; Grbovi Jugoslavije. Album issued by Kava Hag, Zagreb, 1930s. 72 p.
Menzies, I.W. : Civic arms in Northern Rhodesia. Coat of Arms 40(1959)275-281. Smith, H.H. : The territorial and civic heraldry of Northern Rhodesia up to the end of the federation. ARMA 1480-1494. Anonymous : Revolutionary crest for Gweru. The Herald (Zwimbabwe) 2-10-1982. Tonson, A.E. : The arms of the city of Harare. ARMA 1663-1664. Professional Literature essay services from expert writers. This page was last edited on 5 April 2019, at 05:25.